During the first half of pregnancy, when baby’s growth is limited in size, the mother’s metabolism is in an anabolic phase, meaning it is building itself up. Glycogen stores (energy storage) are increased in the liver and the muscle, and protein synthesis is enhanced. There is also increased fat storage. All this prepares the mother for the rapid growth of baby in the second half of pregnancy - super clever! Then, during the 2nd half of pregnancy, especially the third trimester when baby and placenta growth rate is rapid, the mother’s metabolism goes from an anabolic to a catabolic phase. This means that the mother's energy reserves which she had built up in the first half of her pregnancy are now used to support baby’s, and the placenta’s growth. Our bodies are incredibly clever. Let's talk insulin and diabetes, which is a growing condition during Pregnancy. Gestational diabetes is caused by too much glucose (sugar) in the blood and is estimated to affect 12% of pregnant women (2013). While the majority of cases can be controlled with diet and exercise, 10% to 20% of women with gestational diabetes will require insulin*. If gestational diabetes is not detected and controlled, it can increase the risk of conditions such as pre-eclampsia and result in birth complications. Cases of gestational diabetes are predicted to increase even further due to rocketing rates of obesity, which is one of the risk factors. Let's talk glucose. When a person eats carbohydrate food, the body breaks it down to glucose (sugar). When glucose enters the bloodstream, our body then produces insulin which allows the body to use the glucose for energy. The concentration of glucose in the blood decreases as a result, staying within the normal range, keeping our blood sugar levels controlled. Why is it important to keep our blood sugar levels under control? If you have high blood sugar levels consistently in the body, it can lead to damage of the blood vessels in the body, and can potentially lead to stroke, heartattack, and other circulatory problems. You are also at risk of problems with the kidneys and the whole nervous system. As mentioned already, when pregnant, it can increase the risk of conditions such as pre-eclampsia and result in birth complications. However, during Pregnancy, there is an increased resistance to insulin, meaning our blood glucose levels will go up after a meal, and stay up so that baby can access more nutrients. The mother generally relies more on fat as an energy source during pregnancy so baby can access the carbohydrates. A recent study, published in the journal, BJOG: an International Journal of Obstetrics and Gynaecology, found that exercise during pregnancy can reduce the risk of developing gestational diabetes. Spanish researchers looked at the impact of exercise during pregnancy on gestational diabetes, encompassing 13 trials involving more than 2,800 women. They found that women who usually did little or no exercise, but who then undertook an exercise program during pregnancy, reduced their risk of developing gestational diabetes by 36%. The phenomenal benefits of exercise during Pregnancy strikes again! It is advised that Pregnant women exercise for 150 minutes per week, generally broken down into 5 x 30-minute sessions. To learn everything you need to know about Exercise during Pregnancy, read here. 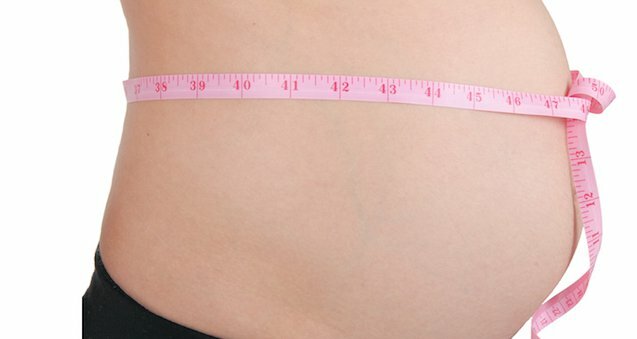 How many extra calories are required during Pregnancy? The energy required to maintain increased metabolism for both baby & mother, and for extra activities like cardiovascular, respiratory, urinary systems. Energy requirements are greatest between 10-30 weeks. The additional calories should be high in quality. 300 kcal really isn't a huge amount, so be very mindful of how you take them in. Your Prenatal diet should be balanced, with a focus on healthy sources of protein, iron, vitamin C and vegetables. Exactly how much weight should I gain? Overweight and obese women (BMI 30 or higher), gain between 11-20lb. Overall, if a mother is healthy and is eating well and exercising, with a normal BMI, she should gain approximately 2 stone. As a rough guideline, this is roughly 1lb per week, after the first trimester, to an average of 25 – 30lb (11-14kg) by the end of pregnancy. 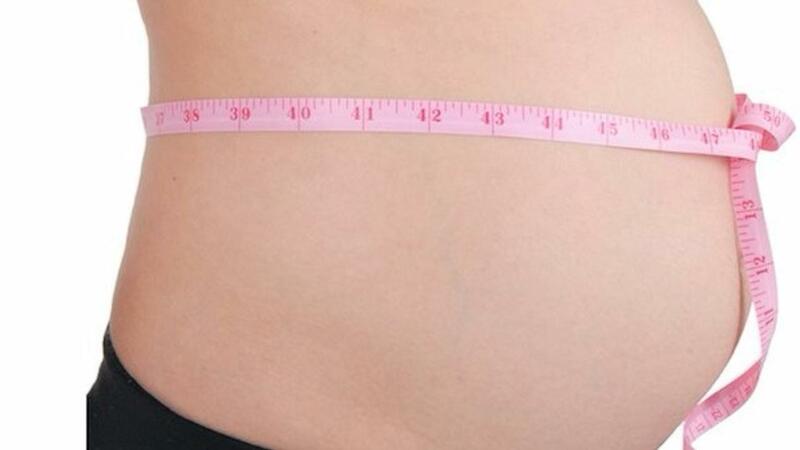 Normally women gain nothing, or up to about 4lbs in the first trimester. Remember these are guidelines and at times you'll (baby) will go through a growth spurt so will don't panic if you put on 3lbs one week. Just be sensible in your eating, and go for balanced meals, and healthy snacks. Where does the weight go?! Always remember, during pregnancy the aim is for a healthy mama and a healthy baby. If you are eating well and exercising all during your pregnancy, your body will put weight on gradually and healthily. This is the safest way to gain weight, and will allow for a steady and healthy weight loss post-pregnancy. On that note, I wish you a very healthy and active pregnancy! I now offer an Online Prenatal Yoga course that you can take at any stage of your Pregnancy. There are 5 different sequences available to practice, depending on your needs. So if you want to practice yoga during your pregnancy (which obviously I highly recommend!!) and have me at home with you (you lucky duck;-) ), then click here for my Prenatal Yoga Online Course. 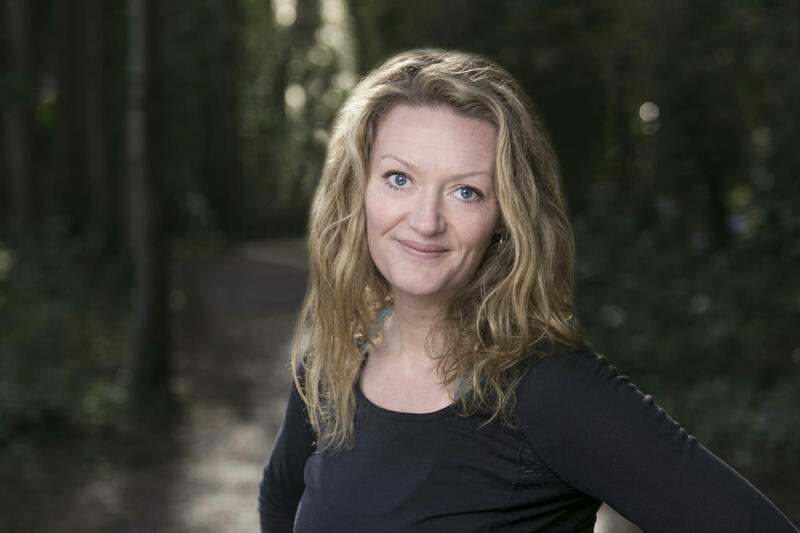 If you'd like to find out more about my full Own Your Birth Yoga & Birth Preparation Program, which includes all the yoga from the online course, please click here.